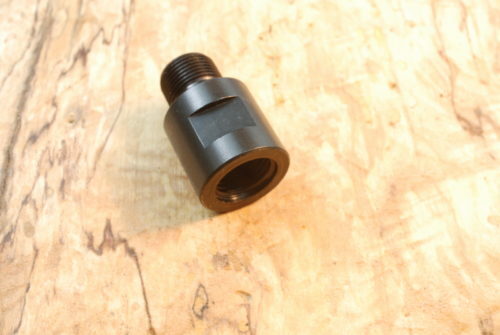 This adapter fits all 1/2″-20 threaded center fire and/or rimfire barrels, when installed allows the use of all 1/2″-28 threaded barrel devises or accessories. 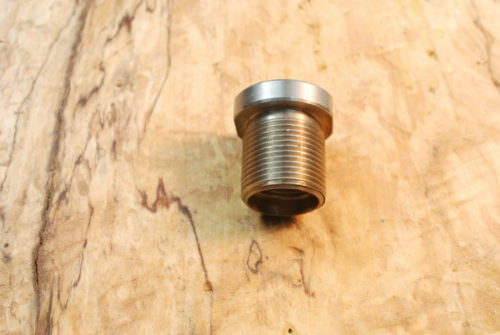 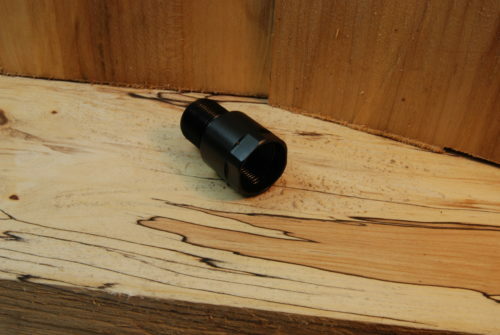 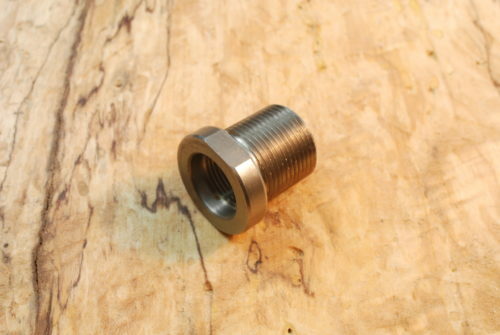 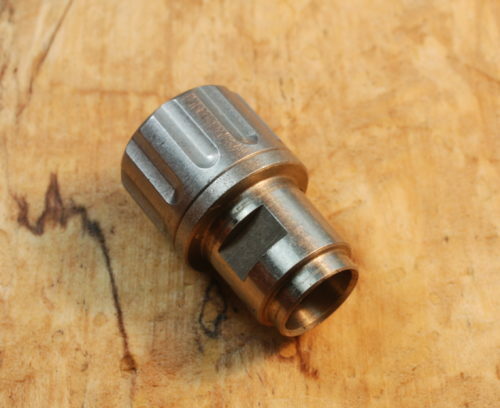 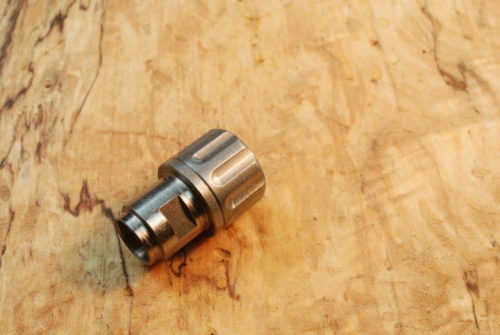 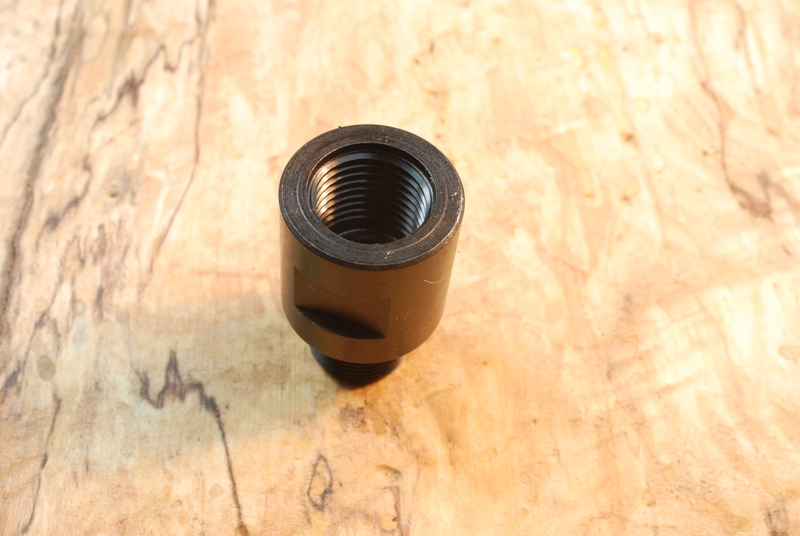 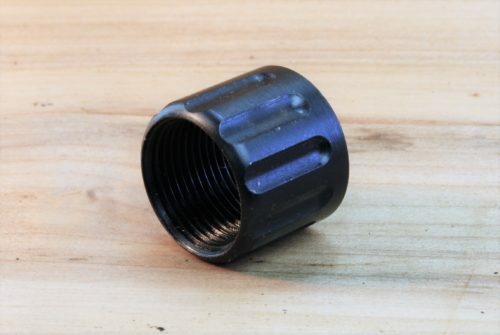 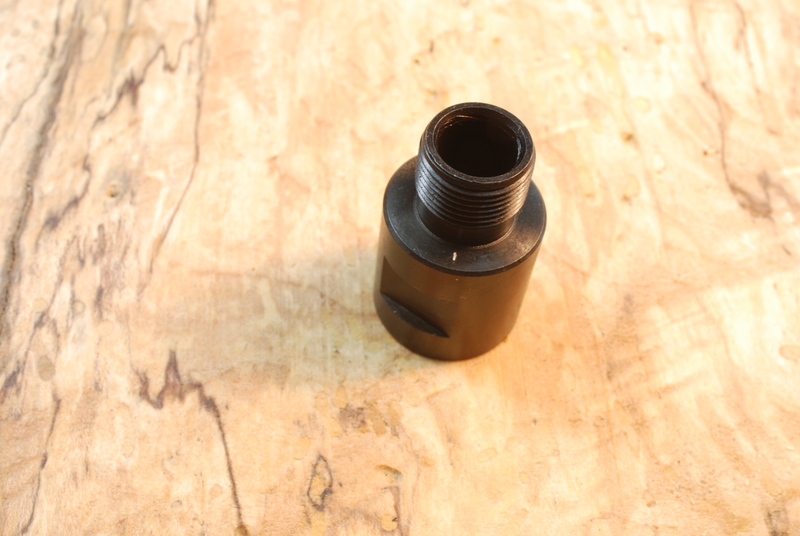 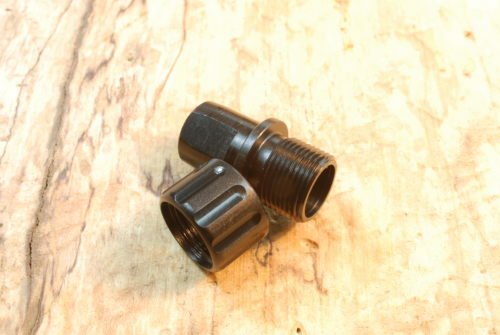 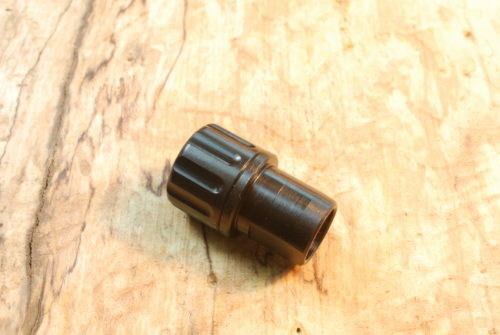 To install it, all you have to do is unscrew your 1/2″-20 barrel cap, break or other devise/accessories and then replace it with this adapter which will give you a 1/2″-28 male thread. You are now ready to attach any devise/accessories that fits the 1/2″-28 threaded barrel that is commonly used on the U.S.A. style guns. 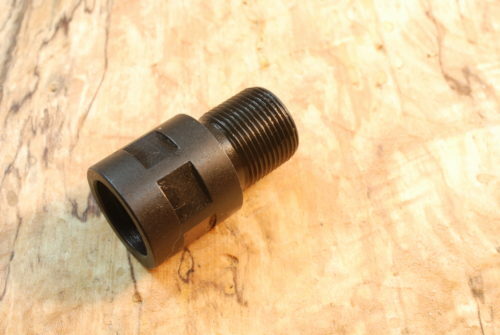 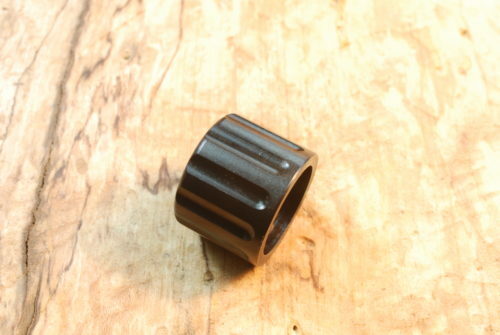 Adapter is 4140 Alloy Chromoly Steel with Black Oxide Finish. 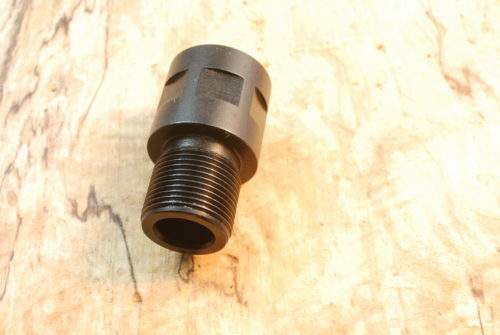 This product is designed and manufactured for use with suppressors and all other muzzle devises. 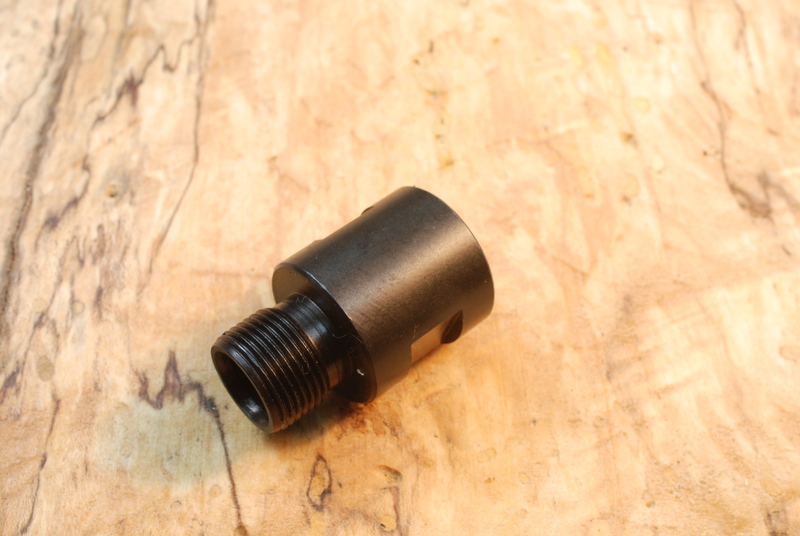 Concentricity and axial alignment is assured through use of CNC Swiss type machining. 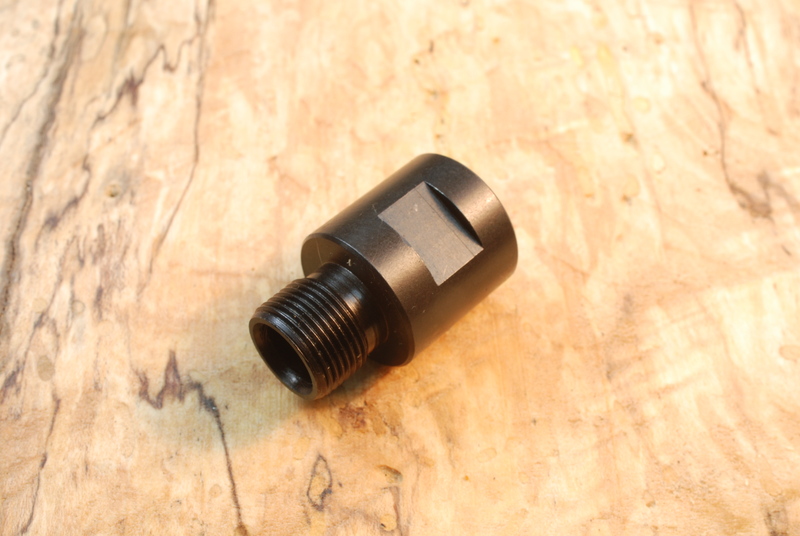 Manufactured From 4140 Alloy Chromoly Steel With Black Oxide (blued) Finish.